The sister of a Manitoba teen who became one of the poster children for the issue of missing and murdered Indigenous women is now missing herself and her family says it all stems from the tragedies she has experienced in her life. Sarah Fontaine, 16, has lost a father, a sister and a cousin in recent years. She is the younger sister of Tina Fontaine, the 15 year old whose body was found wrapped in a bag in the Red River on Aug. 17, 2014. "Her and Tina were just inseparable. They were always together, and then when she lost Tina, she felt she just lost everything," Thelma Favel, the great-aunt who took care of the girls from a young age, told The Canadian Press Monday. "There were just too many memories that she never really faced." Eugene Fontaine, father to both Sarah and Tina, was beaten to death on the Sagkeeng First Nation, northeast of Winnipeg, on Oct. 31, 2011. His death was what caused Tina to spiral downward and require foster care, Favel and others have recounted. Two men pleaded guilty to manslaughter in Eugene Fontaine's death. Another man has been charged with murder in Tina's case and is currently awaiting trial. Last month, the girls' cousin, JeanenneFontaine, 29, died after being shot in the back of the head in a Winnipeg house that was set on fire. "(Sarah) talked about it. She just wanted to know what was happening to the Fontaine family — why they were being murdered," Favel recalled. 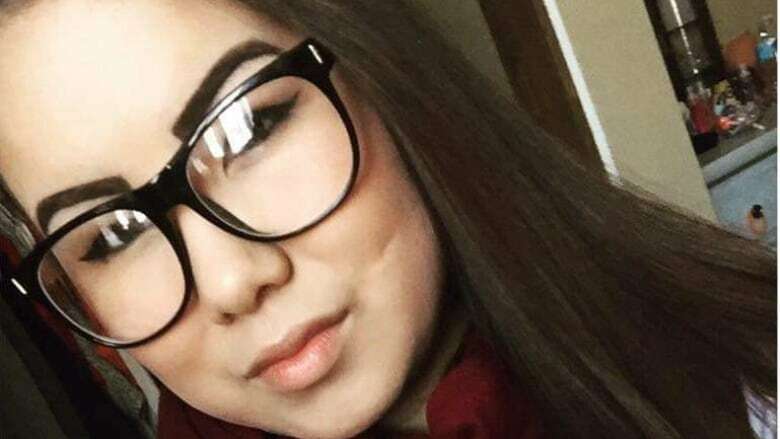 Sarah Fontaine got pregnant after Tina was killed, Favel said, and had been living in a Winnipeg-area home with her infant and receiving counselling for about a year. RCMP reported the girl missing last week. Favel said Sarah drove to Favel's home. "She wanted to come back home here but she's not ready. She didn't receive the proper counselling that she needed." Favel said she called police when Sarah arrived last week and the girl and her baby were taken into new, separate homes in Winnipeg-area. On Monday, Favel learned Sarah had disappeared again. In a news release issued over the weekend, the RCMP said Sarah was last seen on Sunday morning in the Polo Park area of Winnipeg and was last heard from on Sunday afternoon. She is described as five feet, three inches tall with a heavier build. She was last seen wearing a pink hoodie, black pants with white lettering and was carrying a large, shiny red purse. "I just want to tell Sarah, 'Please, Sarah, go back home. You'll get help, and that we love you,"' Favel said. "I just want her safe."